In the middle of an undisclosed forest, a house exists. It’s an odd looking mansion of sorts that, once entered, is filled with pathways leading throughout the labyrinthine structure. A woman and a man live in this house; the woman is tasked with shaping and molding the house into a home, while the man searches for inspiration for his new book wherever and with whomever he can. You can feel that this story is building towards something uneasy, something difficult; a place that will challenge the characters’ understanding as they try so desperately to control their crumbling, destructive situation. Director Darren Aronofsky, the auteur behind films like “Requiem for a Dream” and “Black Swan”, composes a story that functions as a metaphor, a parable, and a satire. It’s an allegory that is a bold artistic expression with equally frustrating and fascinating strokes. Mr. Aronofsky’s film is also deeply personal, for the director and the viewer, echoing sentiments from places religious, political, and ecological. Without ever stating specific names, the film opens with the awakening of a woman identified as Mother (Jennifer Lawrence) looking for a man identified as Him (Javier Bardem) throughout a sprawling house in the middle of rejuvenation. The couple seems distracted and lonely, lost in the seclusion they have manufactured for themselves. Interruption invades their seemingly idyllic existence in the form of two guests (Ed Harris and Michelle Pfeiffer), from this point the paradise that they have created becomes torn apart. 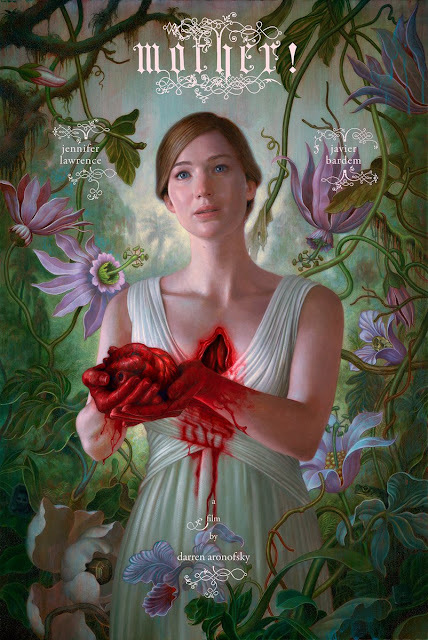 From the beginning moments of “mother!” you can feel the influences taking hold and pushing your attention in different ways. Mr. Aronofsky doesn’t aim for subtle movements, the narrative design may operate on a few different planes of explanation but the connections to the ideologies the director is trying to express are felt throughout. What you may connect with may not be the same as someone else who watches this film but that’s not the point. This is a film that aims to conjure an emotion, in some moments you may feel aggravated or confused while in other places you may feel surprisingly optimistic. To a point, these feelings may depend largely on your outlook within the world or your relationship with the themes examined. Saying this film is about religious fascination, political and social divisions, or environmental destruction may be too easy an explanation. The director connects again with his longtime visual collaborator, director of photography Matthew Libatique, who composes the film within swathes of light that illuminate natural shadows composed by the house. The camera follows Mother while she moves throughout the house, we see her frustration and visualize her changing emotions, you can feel her seclusion and isolation through the tight framing of the camera. The photography also takes a cue from Stanley Kubrick, playing with space and time within the house similarly to how it was composed in “The Shining". Jennifer Lawrence is provided the difficult task of playing Mother, a multifaceted character that plays passive throughout the melodramatic first half of the movie and dynamic in the frenzied latter portion. Because her character is written to embody far greater meaning than the simple aspect of a woman living in a problematical relationship, the changeover in the finale for the character is equally as complicated. 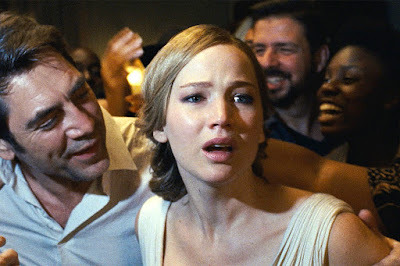 The portrayal is brimming with passion and extravagance while in other ways it is missing an emotional component that makes the character feel empty and somewhat inhuman. 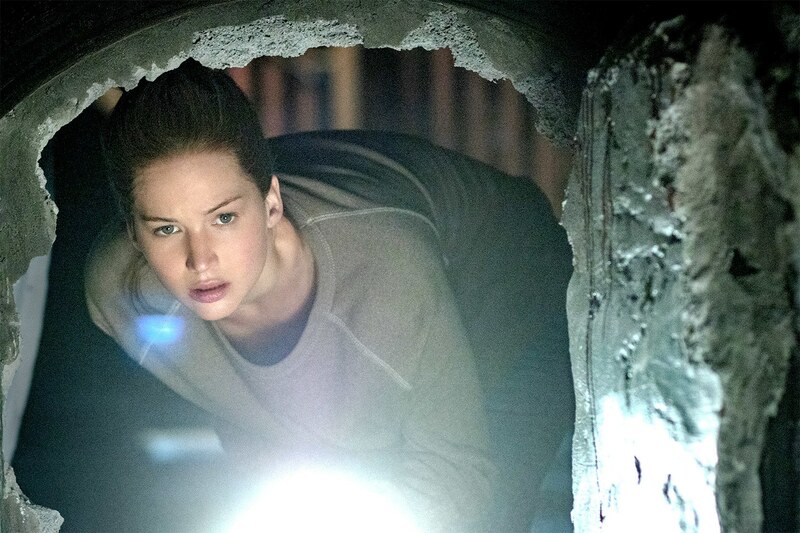 It's all by design and Jennifer Lawrence does her best to convey everything that's being introduced. Film, like any other form of art, is subjective. Your ultimate interpretation is part of the process of connecting with an artistic expression, regardless of whether it’s negative or positive. 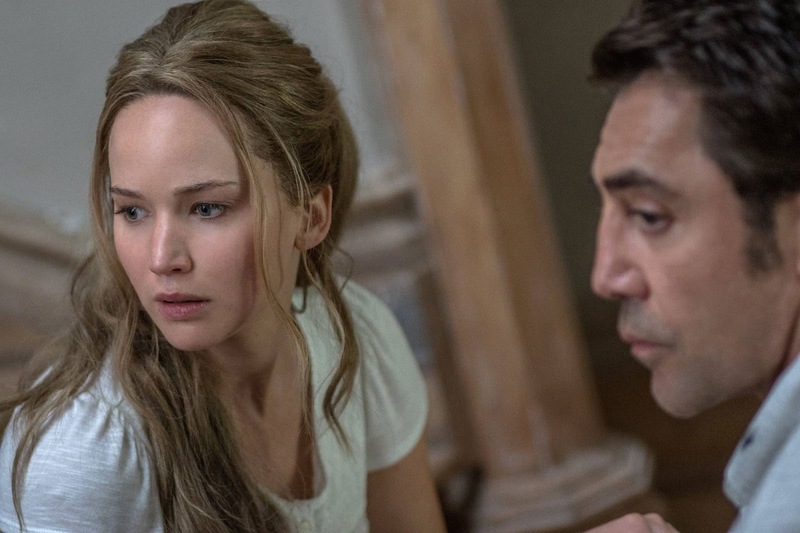 “mother!” will be divisive but it will also be thought provoking. Some may see the demonstrations of violence and the more sensational aspects of the script too intense while others, myself included, will find the comic audacity in the embellishment of the ideas the director is trying to transmit. “mother!” in many instances is what filmmaking should be, a vessel for the expression of ideas.